Back in May 2001 Nicholas Cowdery QC made an error at law by giving a speech called Getting Justice Wrong at the University of New England, Armidale Thursday, 31 May 2001. One area in which we are most certainly getting justice grievously wrong is in mandatory sentencing, in whatever form it may exist (be it called mandatory sentencing, mandatory minimum sentencing, grid sentencing, guideline sentencing or whatever). In all its forms, parliament presumes to fix or severely circumscribe the penalty that will be imposed by the court. But the imposition of punishment is the task of the judiciary in our system of government and the doctrine of the separation of powers should ensure that the actions of one branch of government do not improperly impinge on the functions of another. That is especially so when justice in the individual case may be denied by the inability of the court to give appropriate weight to the individual circumstances of both the offence and the offender. The courts do not tell parliament what to do (unless it gets it wrong); parliament should not tell the courts what to do, beyond setting the legal limits within which they may do it. We have mandatory minimum sentencing in limited circumstances in New South Wales. In 1996 an Act was passed providing for mandatory life imprisonment for what were intended to be extreme cases of murder and drug trafficking. It has never been invoked. We already had provisions enabling "life, meaning life" sentences to be imposed at the discretion of the courts in murder and drug trafficking and under those provisions, which are not mandatory, about 15 prisoners are presently serving such terms in New South Wales. The 1996 legislation was just political grandstanding. Mr Kable had been corresponding from prison about the welfare of his children in ways that gave the authorities concern about how he might act on his release. The Community Protection Act which applied only to Mr Kable provided for further detention for periods of up to six months at a time, upon proof of his likelihood to commit violence and the appropriateness of such an order for the protection of the community. There was a sorry course of litigation until in 1996 the High Court held that the legislation was invalid as being unconstitutional and an improper interference with the judicial function. It was an extreme example of parliament attempting to act as accuser and judge by prescribing a civil penalty against a citizen who was otherwise entitled to freedom. In other jurisdictions, notably the Northern Territory and Western Australia, mandatory penalties are prescribed more precisely as part of the criminal penalties to be imposed and, unfortunately, quite validly. Not only do they arrogate to parliament a function of the judiciary, but they apply to offences in such a way that they unfairly discriminate against Aborigines, the young and women (largely because of the types of offences to which they apply). They are inhuman in their operation and not a cost-effective treatment of criminal offending. Parliament has the power to make laws of that kind, but they are offensive to the constitutional doctrine of the separation of powers, unreasonably fetter the discretion of the courts and impact indirectly upon the independence of the judiciary. They also contribute to an undesirable tension between the courts and the other arms of government. Our politicians at state and territory and Commonwealth levels have chosen to ignore appropriate pressure from the international community to bring these laws into line with commonly accepted international standards. If there are problems with inadequate sentences being imposed by the courts, then the answer lies in the ability of the Crown to appeal against those sentences and also in the ability of the appeal court to provide guideline sentencing judgments if there are clear inconsistencies or deficiencies in sentencing for particular offences. Both avenues are available and used in New South Wales. We must resist any attempt to extend mandatory sentencing in this state. Where Nicholas Cowdery got it wrong? Kable's claim against the State of New South Wales and the DPP with respect to the false imprisonment, malicious prosecution, abuse of process and assault following his detention under the invalid Community Protection Act of 1994. Whilst it is a long time since we have published the status of the case we have not been idle. We have issued Notices to Produce against both Defendants. Nevertheless having gone through extensive exercise to obtain documents, which include all documents under the heading "Taskforce Harm", we came to the conclusion there were other documents which we needed in order to prosecute this claim. Whilst the First Defendant, the State of New South Wales, are undoubtedly responsible for the administration for the Community Protection Act it was not the action of the First Defendant which resulted in the Judge's order for imprisonment. Therefore the First Defendant has the defence that they were acting under the orders of the Supreme Court properly made at the time. Judges, of course, are immune from civil litigation when exercising their judicial powers and therefore do not fall within the definition of the State of New South Wales for that purpose. As you can see, the prosecution of this litigation is not without its problems and we did not think it was a good idea to go to a hearing. But Nicholas Cowdery QC in his speech not only told us his thoughts about the case but also published his views. Nicholas Cowdery made full admissions in the Kable Case. Gregory Kable Vs The State of New South Wales. NSW being the first defendant and theDepartment of Public Prosecutions as the 2nd defendant in a case currently before the Supreme Court of New South Wales that has not been to a full hearing yet? Cowdery not only made full admissions he went on to acknowledge the damages and then to publish his findings onto the Internet website at the DPP. 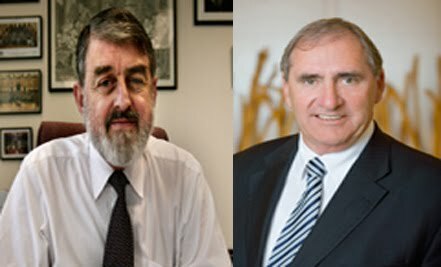 How can Nicholas Cowdery QC as head of the DPP the 2nd defendant in Kable V's the State of New South Wales continue to defend matters he himself has published as Getting Justice Wrong? Does this statement diminish any public support to have this matter resolved so Mr Kable can get on with his life in peace? Or did Cowdery feel sorry for Kable knowing the State was wrong and spoke out in defence of Civil Rights and in defiance of the New South Wales Government? To give the history of these two legislative instruments and to explain them would be rather to stray from the c point. They meant the establishment of a new legislature; at the same time the principles of responsible government were introduced and with that came the principles and conventions and general tradition of British parliamentary procedure. But what matters here is that the two instruments contain the source whence the constituent power of the Legislature is derived. DAWSON J: Well, I think we are familiar with it, actually. McHUGH J: The Communist Party Case. SIR MAURICE: I need not read it - and obviously that is, in our respectful submission, correct. Therefore, the constituent power cannot be exercised so as to infringe the rule of law. One of the provisions about the rule of law is equality, and another provision is that you cannot punish a man in body or goods, except upon a verdict for a crime. That is what we wanted to say are the material questions. DAWSON J: Thank you, Sir Maurice. Mr Solicitor. DAWSON J: Is that really so? The rule of law posits the idea that there is a law that one can comply with so as to avoid the penalties which might otherwise be imposed. In this case there is no law which this man can comply with in order to avoid imprisonment. DAWSON J: Yes, there is nothing he can do. MR MASON: The same may be said of the person who is suffering a contagious disease. DAWSON J: But this man is not. DAWSON J: He cannot even, as it were, get well. SIR MAURICE: May it please, your Honours, can I just say something about some of the submissions, which I presume were not tentative, relating to the supremacy of the Parliaments of the States, and presumably the supremacy of the Parliament of the Commonwealth. Now, of course, what my learned friends were saying seem to ignore the fact that Australia is a federal State, and so no Parliament is supreme above the Constitution, and what is supreme are the constitutions to which all parliamentary powers are subordinate. That is, I would have thought, a truism, which, in the Union Steamship Case was pointed out that the Parliaments of the States within the limits of their powers could pass valid laws. Now, if anything more is meant by supremacy of parliament, then we would submit that it is just inconsistent with the notion that State parliamentary powers, Commonwealth parliamentary powers are confined within the bounds of the Constitution - their respective constitutions. One is then forced to say: what is meant by saying that the Parliaments of a State are supreme? I think at least one of my learned friends was trying to say that anything that Parliament said was a law; even if it was about a topic in the exclusive powers of the Commonwealth, it was valid, and that is nonsense. I mean, it is obvious that the powers of the Parliament of the States are subject to the Constitution, section 106, says, and indeed as their own constitutions say, that they have legislative powers. They have not got judicial powers, and the legislative power does not authorise an exercise by the Parliament of the judicial power which is reposed in other people. It is for that reason, for example, that Lord Diplock said the separation of the powers is basic to the Constitution of the United Kingdom. It is basic to the Constitution of all the States and the Commonwealth. Now, that is independently of the effect of section 106 and Chapter III. Your Honours have heard my submission about that. Might I, in answer to what my learned friends have put on that to date, just say this: could the Parliament of the Commonwealth, there being a court of a State invested with federal jurisdiction, pass a law which imposed an incompatible function upon that invested court? We would say the answer to that is clearly "No". But it is clear that the judicial power of the Commonwealth is shared amongst this Court, the federal courts and the State courts and that one has one Australian judiciary in that respect. It is true, of course - and we have never suggested to the contrary - that the State courts derive from their State genesis jurisdictions other than the federal judicial power. That is obvious. But then one comes to the crucial question: if the Commonwealth cannot impose an incompatible function, how can it be that the State Parliament can impose an incompatible function? We submit the answer to that is that the State Parliament could not. And the reason why it could not is the supremacy of the Constitution, of the Commonwealth. That is Chapter III standing alone or Chapter III plus section 39(2) and section 109, of course. Therefore, we say, if you have a State attempt to confer an incompatible jurisdiction upon a possessor of the judicial power of the Commonwealth, the Act of the State is invalid either as being forbidden by Chapter III or as being inconsistent under section 109 and we would submit the true basis of invalidity derives from Chapter III. Your Honour, that is I think all I want to say in answer to the submissions my learned friends have made upon this point. What they would seek to achieve is an Australian judiciary exercising the judicial power of the Commonwealth but divided into two classes: one is an inferior class, namely, the invested possessors of it who are subject to the imposition and receipt of incompatible functions, and the other the federal possessors of it who are not so subject, and we submit that is just inconsistent with Chapter III. Your Honours, there are a number of reasons why we say the Act is invalid - the Community Protection Act is invalid - but can I just - I do not want to read these passages out seeing that perhaps I can finish before lunch and your Honours obviously must be weary of this case. What I want to refer your Honours to is some passages in Polyukhovich  HCA 32; 172 CLR 501, at page 534 where the former Chief Justice says that the legislative interference in the exercise of judicial power is invalid; page 609 at lines 4 to 8 where it is pointed out that the exercise of judicial powers may not be directed; page 617 at the bottom of the page where Justice Deane, admittedly is dealing with ex post facto law and he quotes Calder v Bull where it is pointed out that changing the laws of evidence retrospectively so as to procure a conviction or changing the laws of evidence so as to procure a conviction is forbidden or struck down by the separation of powers doctrine. That is page 617. Then we would also rely on page 625 where, again it is Justice Deane, when he refers to Liyanage and says the vice was that the judges were deprived of their normal discretions. We say this Act is a classic illustration, beside which, the attempt in Liyanage marches arm in arm. Your Honour Justice Dawson at page 647, the sentence beginning, "The proper judicial exercise", I think it is. Then, at page 649 when your Honour says, "It is when the legislature intervenes" - and I am now relying from my notes, so your Honour will pardon me if I am misquoting - but Your Honour has a sentence beginning, "It is when the legislature intervenes" and then at pages 650 to 651 and then where your Honour ends up saying that the legislation would be held to be invalid. Then, your Honours, there is a passage at page 684 to 685, that is the bottom of 684 to the top of 685, and passage in the judgment of your Honour Justice McHugh at 719 to 721. Now, your Honours, the question here is a simple question, really. The State Act seeks to put a person in prison. In other words, to deprive him of his liberty. You cannot say that that is anything other than a punishment. Being put into gaol cannot be anything else. Being put into gaol indefinitely is a most horrendous punishment and that is the possibility that the Act exposes and the vice is that it intrudes by section 3, 5 and the provisions about evidence into the exercise by the judge of a judicial function of deciding the liberty of the subject. Now that is all I wish to say in reply, if the Court pleases. BRENNAN CJ: Sir Maurice, do you wish to say anything with regard to the relief if you should succeed on this appeal? SIR MAURICE: Your Honour, those who supported, as we would submit, correctly, the notion of equality, were in the minority, and - "relief", I beg your Honours' pardon, I am sorry; I thought your Honour was talking about Leeth. BRENNAN CJ: No, no, relief. SIR MAURICE: It was pointed out to me, I think on the special leave application, with no absence of firmness, that I stood little ground there. However, what we say is, we would seek a declaration that the Community Protection Act is totally invalid. We would want an order that the appeal to this Court be allowed with costs, an order that the order of the Court of Appeal be set aside and that in lieu thereof it be ordered that the appeal from the decision of Mr Justice Levine be allowed and the order for preventive detention of the appellant made by that learned judge be quashed. My friend says, "Ask for costs"; I though I had. I thought the appeal should be allowed with costs, but I think he means from Mr Justice Levine. GUMMOW J: Sir Maurice, Mr Mason says that even if the rest of the Act falls the State can hang onto section 28, which confers immunity in various respects. You say that would have to go too? for the purposes of, or in connection with the administration or execution of, this Act. So if the Act goes, 28 must go. I think that is about all I wish to say, if the Court pleases. BRENNAN CJ: Thank you, Sir Maurice. The Court is indebted to you, Sir Maurice, and to the Solicitors-General for the assistance we have been given in this case. The Court will consider its decision in this matter. MASTER: The plaintiff was convicted of manslaughter of his late wife. Between September 1989 and 4 January 1995, he served a sentence of imprisonment for the manslaughter. Whilst serving that sentence, he engaged in conduct which was seen by some as threatening violence to members of the community. His impending release attracted controversy. In December 1994, the Community Protection Act, 1994 (the Act) was enacted. It purported to enable the making of Preventative Detention Orders. Thereafter, the Director of Public Prosecutions brought process under the Act. Firstly, an Interim Detention Order was made by Hunter J. Secondly, a Preventive Detention Order for six months was made by Levine J. An appeal to the Court of Appeal was unsuccessful. The plaintiff then sought leave to appeal to the High Court. Grove J declined to make a further Detention Order. The plaintiff was released upon the expiry of the Detention Order. His appeal to the High Court was successful and the Act was invalidated (including section 28 which purported to protect certain persons from liability). The defendant is a forensic psychiatrist. He has prepared certain reports concerning the plaintiff (including reports dated 11 November 1994, 21 November 1994, 30 March 1995, 9 June 1995 and 1 August 1995). The instructions came from the Crown Solicitor's Office and reports were used in the process brought by the Director of Public Prosecutions (the DPP). By 14 November 1994, the defendant had been expressly made aware of the possibility of legal proceedings. By 21 March 1995, he had been appointed as an assessor under the Act and reports were prepared pursuant to its statutory requirements. He gave oral evidence in legal proceedings. In these proceedings, the plaintiff propounds a claim for damages. His originating process has been amended a number of times. The present formulation of the claim may be found in the Further Amended Statement of Claim. This document contains a variety of allegations. It appears to have been drafted by the plaintiff himself and there is difficulty in discerning the precise case sought to be advanced. For present purposes, it is not necessary to make exhaustive reference to all of the allegations. However, I shall mention some of them. It is alleged that the defendant was retained by the State of New South Wales to examine and report on the plaintiff. It is alleged that reports (being those of 11 November 1994 and 21 November 1994) were produced and disseminated without the plaintiff's consent and without an examination of the plaintiff. There are allegations of false imprisonment by the State of New South Wales and of subjection to compulsory examination by the defendant under the Act. It is alleged that the defendant was an accessory to an "Abuse of Process" by acting as agent for the Government. These seem to be related allegations. It is said that the abuse resulted in imprisonment and permanent labelling. There are allegations of trespass and assault. These allegations seem to be related to earlier allegations. There are allegations that the reports were false and misleading and damaged the plaintiff's reputation. There are allegations of negligence. It is said that the defendant was seeing the plaintiff as a doctor and/or in the capacity of assessor and that he was negligent as a professional doctor (the Particulars of Negligence appear to be set forth in paragraph 18). There are allegations of breach of the provisions of section 42 of the Fair Trading Act. The allegations of damage may be gleaned from the contents of paragraph 23 and the second of the two paragraphs numbered 10 of the document (these include pain and discomfort, loss of liberty, shock, depression and anxiety, and economic loss). On 1 August 1997, the defendant filed a Notice of Motion. It seeks, inter alia, an order that the proceedings be dismissed generally. A special fixture was allocated for the hearing of the Notice of Motion on 11 December 1997. The defendant is seeking summary dismissal of the proceedings. The Court has a discretionary power to grant summary relief. The power is exercised having regard to the relevant circumstances of the particular case and so that justice is best served between the parties. The applicant for summary relief bears the onus of satisfying the Court that an order should be made. There is ample authority for the proposition that the relief should only be granted in what has been described as clear cases (see Webster v Lampard  HCA 57; 116 ALR 545). Before proceeding to deal with the summary dismissal application. I should digress to deal with certain preliminary matters which cropped up at the commencement of the hearing, upon the defendant seeking to file an Amended Notice of Motion. Leave to file the Further Amended Statement of Claim was obtained from the Court subsequent to the allocation of the special fixture for this hearing. Leave was given with the consent of the defendant. However, there has been dispute between the parties as to the terms upon which that consent was given. The defendant was of the understanding that the plaintiff had given his consent to the filing of an Amended Notice of Motion on terms which allowed the defendant to agitate an application for the striking out of the process on the basis of pleading deficiencies. Exhibit 1 (which was tendered by the defendant) did not give support to that contention. Because of the particular circumstances of this case and the practice usually followed by this Court in relation to special fixtures, the application for amendment of the Notice of Motion was refused. Before leaving this aspect of the matter, it may be observed that it is apparent from the face of the Further Amended Statement of Claim that it is plagued with a number of pleading deficiencies. However, for present purposes, I put the matter of pleading deficiencies to one side. The application has been argued on the material to be found in the pleadings and in the affidavit sworn by Jann Cordeaux Cathels (which was read without objection). The affidavit annexes copy correspondence and reports from the defendant. Also, it deposes to the matters set forth in paragraph 3 thereof. The plaintiff has not placed any evidence before the Court. His submissions contained criticism of aspects of the affidavit evidence. Counsel for the defendant has prepared a written outline of argument. This document has been supplemented by detailed oral submissions and references to authority. The plaintiff appears in person. He has prepared a lengthy and detailed written submission containing various annexures. This document was supplemented by oral submissions. There have been many matters agitated in these submissions. It is not possible to deal with all of the matters that were raised. However, the parties are assured that careful consideration has been given to all of the submissions that have been made. The defendant relies on a defence of witness immunity to the claims made by the plaintiff. It is conceded that the principle would not apply where there is an allegation of a physical nature (such as in the usual assault or trespass case). In this case, allegations of that nature are absent. The authorities (including Cabassi v Vila  HCA 41; (1940) 64 CLR 130; Evans v London Hospital Medical College (University of London) (1981) 1 WLR 184; X v Bedfordshire County Council  UKHL 9; (1995) 2 AC 633 and Hillman v Black & Ors  SASC 5941; (1996) 67 SASR 490) demonstrate that the defendant does have a good defence to the claims which the plaintiff seeks to make in relation to the reports prepared by the defendant and the evidence given by him. In Cabassi (at pp 140-141), it was said that no action lies in respect of evidence given by witnesses in the course of legal proceedings (no matter how false or malicious the evidence may have been and whether or not it was given as part of a conspiracy). The protection has been said to extend to evidence prepared, given, adduced or procured by witnesses in the course of legal proceedings. This "rule of law" (Cabassi at p 141) extends beyond the evidence that is given in the proceedings to acts involved in preparatory processes (including communications, information and reports given by a potential witness). In this case, the claims made by the plaintiff relate to reports prepared by the defendant in response to instructions and the evidence given by him in the legal process prosecuted by the DPP. I shall now turn briefly to some of the other matters agitated by the parties. Firstly, there is the matter of negligence. Whilst the claim purports to be framed in negligence, in substance it relates to the matters of the reports and the evidence given by the defendant. The defendant further contended that it was doomed to failure because no duty of care was owed to the plaintiff in the circumstances of this case. Again, the defendant looks to, inter alia, the X case as authority for this submission. The authorities make it clear that it may be difficult at an early stage in a proceeding to form a view as to the prospects of success of a claim framed in negligence. Whilst the arguments put on behalf of the defendant appear to have considerable force, this case does have some novel features (viz. the role as an assessor under the Act). The question of the owing of a duty of care has not been fully argued and does not need to be determined in this case. The pleading uses the terms abuse of process, assault and trespass. The pleading does not contain the statement of material facts necessary to found any of these alleged causes of action. The material does not suggest any arguable claims of this nature. The submissions further exposed the untenability of the allegations of assault and trespass. It was made clear that these allegations were founded on the dissemination of reports and the emotional effect had on the plaintiff as a consequence of his reading of reports. In my view, the allegations made under the guise of these terms are doomed to failure. The allegations of breach of section 42 of the Fair Trading Act appear to relate to the reports and oral evidence (see paragraph 17). They are also otherwise doomed to failure. There is a bare allegation of breach. The alleged false and misleading conduct is not identified. It cannot be said that what was done by the defendant could be arguably regarded as being "in trade and commerce". It is not said that the defendant falsely imprisoned the plaintiff. The concept of False Imprisonment appears in paragraphs 9, 19 and 20. Paragraphs 19 and 20 are intended to propound claims made in the alternative. The nature of the allegations sought to be made is unclear. There appears to be an association with either "Abuse of Process" or "Trespass". The role of the defendant is that of "Agent for the Government" or "accessory". The pleading does not contain the requisite statement of material facts which enable the disclosure of a cause of action relating to "False Imprisonment". The submissions saw the making of many assertions (including a contention that the defendant was aware from the outset of the invalidity of the Act). In any event, it seems that the words are used in respect of the matters of the reports and evidence. Finally, it has to be observed that the material demonstrates that this aspect of the claim is otherwise doomed to failure. In applications of this nature, the Court takes into account the consequences of the granting of summary relief. The plaintiff may be deprived of the use of interlocutory processes of the Court and his case does not go to trial. In submissions, the plaintiff repeatedly stressed his need to have the benefit of cross-examination of the defendant. The stress placed on this matter unfortunately focuses attention on the weaknesses of his case. It highlighted the hope had by the plaintiff that cross-examination would reveal a case which is not presently shown to exist. The plaintiff clearly harbours strong feelings in relation to the defendant. Unfounded allegations were rampant. The case is very much seen in emotive terms. However, it must be appreciated that the Court is required to determine this application according to law. In the circumstances of this case, I am satisfied that it has been demonstrated that this is one of the clear cases which justify the granting of summary relief. I order that the proceedings be dismissed. The plaintiff is to pay the costs of the proceedings. The exhibit may be returned. 17 The first defendant sought to set aside paragraph 10 of a notice to produce issued by the plaintiff. On 16 March 2000, Registrar Irwin ordered that the notice to produce be set aside and the plaintiff/respondent pay the costs of the defendant/applicant. (d)	recommendations and reports made by Task Force Harm." 19 The whole of the paragraph is the subject of objection. "Task Force Harm" was set up in 1995 and is still in existence. It is a name given to a group of people within the Crown Solicitors office established to provide advice to the government concerning the plaintiff and subsequently to the DPP. These documents comprise of 34 boxes of material. "The Plaintiff/Respondent does not says that he has any evidence of these matters beyond the decision of the High Court in Kable . Master Harrison in her judgment of 18 March 1999 in these proceedings found that the High Court had not determined the causes of action of malicious prosecution, false imprisonment, assault or abuse of process. To date the plaintiff had failed to provide any evidence of any malice, absence of reasonable cause, or improper purpose. It was submitted on behalf of the Plaintiff that access to the material the subject of the notice would permit the real issues to be tested and would bear on the issue of the degree of collaboration between the First and Second Defendants and their respective roles in instituting and maliciously prosecuting the proceedings. Provided that the material sought by the notice was relevant to the issues in dispute it could not be said to be "fishing". The editors of Halsbury's Law of Australia at 325-7420 state in relation to "fishing" that "the subpoena is served not for the purpose of requiring production of specific documents or a specific class of document which the person subpoenered (sic) is reasonably expected to hold and which are likely to advance the issuing party's case but with the intention of seeing what documents the party served may have, and whether the issuing party has a case at all. It is not necessary however, that a party serving a subpoena knows of the contents or existence of the documents sought". In Commissioner for Railways v Small (1938) 38 SR 564 Jordan CJ at 564 said "as a party is no more entitled to use a subpoena duces tecum than he is a summons for interrogatories for the purpose of "fishing" ie. endeavouring, not to obtain evidence to support his case, but to discover whether he has a case at all;" and His Honour cited Hennessy v Wright (1890) 24 QB 445). That was a libel action arising out of a newspaper report based on a certain manuscript. The plaintiff had administered interrogatories to learn the text of that part of the manuscript on which the report was based which might not have been published with a view to ascertaining whether the author was motivated by malice. Lopes LJ said "If the Plaintiff wants to know the name of the correspondent in the Mauritius, or to see the original manuscript merely for the purpose of obtaining information in order that he may see if he has a case of which he has at present no knowledge or only a very partial knowledge, I am clearly of the opinion that on that ground the interrogatories should not be allowed." I accept that the material sought might contain information relevant to the issues but the Plaintiff/Respondent does not know if it does. He is therefore in the position described by Jordon CJ in Smalls case. The notice should be set aside on the ground that it is fishing." 21 The plaintiff's counsel conceded that the plaintiff had "no evidence of any actual ill-will". However the plaintiff submitted that he will seek to establish malice in the broad sense based on the findings of the High Court. Some additional authorities namely Hanahan v Ainsworth (1990) 22 NSWLR 73, United Telecasters Sydney Pty Limited v Hardy (1990-91) 23 NSWLR 323 and Spautz v Gibbs (1990) 21 NSWLR 230 were referred to by the plaintiff. It was submitted that the findings in the High Court decision itself when put to the jury would be sufficient evidence of improbable cause. Plaintiff's counsel did not submit that there were no intentional elements in the torts of malicious prosecution and abuse of process but rather that, in a wide sense, the objective facts could allow the jury to find that these causes of action were established. If this be the case, then the documents sought are not necessary, and irrelevant. 22 The plaintiff relied on the following statements from the High Court decision in Kable v DPP (NSW)  HCA 24; (1996) 189 CLR 51. The formal basis of the holding of invalidity was that the Community ProtectionAct 1994 (NSW) was incompatible with Chapter III (the Judicature) of the Commonwealth of Australia Constitution per Toohey J at 99.5, Gaudron J at 108.3, McHugh J at 124.3. According to the plaintiff the followig passages of the High Court decision support findings that Act diminished public confidence in and compromised the integrity of judicial proceedings (Toohey J at 98.6; Gauldron J at 107.4; McHugh J at 121.8, 124.4) and that the Supreme Court was required to participate in the making of a preventive order where no breach of the criminal law was alleged (Toohey J at 98.9 and 100.7); Gauldron J at 106.3; McHugh J at 121) and that the proceedings did not have the character of judicial proceedings (Gaudron J at 106.2, 106.9-107.3; McHugh J at 122.2) and were a mockery of judicial proceedings (Gaudron J at 108.2; McHugh J at 122.5) and was an exercise of political executive jurisdiction (McHugh J at 122.6, 124.2) and a denial of equal and impartial justice without the ordinary processes of law (Gaudron J at 107.9, McHugh at 124.4). These statements must be read in context. "The plaintiff's Counsel conceded that the onus is on him to demonstrate that there is evidence of the facts, but submitted that there are no facts that are truly in issue and that the decision of the High Court implies that there was malice. It should be noted that the first defendant was not a party to the High Court proceedings. It is my view that the High Court did not imply malice nor did they consider malicious prosecution, false imprisonment, assault and the other causes of action pleaded by the plaintiff. "The appeal raises issues of importance involving two principles which are deeply embedded in our law. The first is that any authoritative decision of the courts stating what is the law operates retrospectively. The decision does not only state what the law is from the date of the decision, it states what it has always been. This is the position even if in setting out the law the court overrules an earlier decision which took a totally different view of the law. The second principles is that a person imprisoned without authority is entitled to damages irrespective of any question of fault on the part of the person responsible for the imprisonment." A person alleging abuse of process must show that the predominant purpose of the other person using the legal process has been other than that for which it was designed and there is a heavy onus placed upon the party alleging it - (see William v Spautz  HCA 34; (1991-92) 174 CLR 509, joint judgment of Mason CJ, Dawson, Toohey and McHugh JJ at p 529). Malicious prosecution requires the plaintiff to prove that there was an absence of reasonable or probable cause for instituting proceedings and malice in instituting them. The mental state of the defendants through their officers will be relevant. There is no evidence on this issue before the court. The High Court in Kable did not determine these causes of action of malicious prosecution, false imprisonment, assault or an abuse of process. " 24 I agree with Registrar Irwin that the documents may contain information relevant to the issues but the plaintiff does not know if it does. However, from that point onwards my view diverges from that of the Registrar. 25 It could be expected that if Parliament was motivated by ill-will or that legal process was being used for a purpose other than that for which it was designed, the advice from the Crown Solicitors office and the instructions provided by Parliament would be found in the Task Force Harm documents referred to in paragraph 10 of the subpoena. In other words, these documents would establish whether or not the intentional elements of the torts of abuse of process and malicious prosecution were present. As James J stated in Sourian v State of NSW & Ors  NSWSC 1173, namely malice without reasonable and probable cause (at p 39 para 191), pre-trial the plaintiff has no chance of establishing two elements of malicious prosecution. Alternatively, the intention of the parties may be ascertained from the administration of interrogatories. 26 It is my view that the plaintiff in seeking that the documents contained agendas, all meeting papers and records of meetings of Task Force Harm and recommendations and reports made by Task Force Harm may contain evidence that support his case. I do not think that the plaintiff is fishing to see whether or not he has a case. 27 It is my view that the decision of Registrar Irwin was incorrect and should be set aside. Accordingly the review is upheld. The order of Registrar Irwin dated 16 March 2000 is set aside. Costs are discretionary. Costs are to follow the event. The first defendant is to pay the plaintiff's costs. (1)	The decision of Registrar Irwin dated 16 March 2000 is set aside. (2)	The first defendant is to produce documents in accordance with paragraph 10 of the subpoena by 31 January 2001. (3)	The first defendant is to pay the plaintiff's costs. A good illustration of the operation of the fourth limitation described above (being an aspect of the doctrine of the separation of powers) and its indirect effect on the criminal process is the case of Gregory Wayne Kable. It is worth taking a moment to consider it. Mr Kable was a prisoner, having been sentenced for the manslaughter of his estranged wife (committed with a knife during an argument over access to their children). He wrote many letters and other documents from prison, mostly to his children and their guardians, which the authorities interpreted as foreshadowing future offending once he was released. The material was threatening in part, based on his view that he had been deprived unreasonably of contact with his children during his incarceration. A couple of interim orders were in fact made before the appeal process resulted in the High Court of Australia, our ultimate court of appeal, ruling the legislation unconstitutional. Mr Kable consequently became entitled to a great deal of public money and for whatever reasons has been of no trouble whatsoever since his release from prison. This case demonstrated at least two things: first, the obstinacy of a government intent on banging the law and order drum, whatever the fundamental flaws in its arguments; and secondly, the reassurance provided by the High Court of the operation of the doctrine of the separation of powers in Australia. The Habeas Corpus Act 1640  imports absolutely the guarantees on the rights and liberties of subjects of Her Majesty, who reside within the self governing colony referred to in the Section 8 of the Commonwealth of Australia Constitution ACT. Section 8 abolishes the Colonial Boundaries Act 1895 , and creates one colony, “united in one in dissoluble Federal Commonwealth”. The High Court of Australia by a majority arrived at the same result, that would have ensued if Gregory Wayne Kable had been indicted and acquitted. Sir Maurice Byers, then 78 years old, knew Kable was right to object to his Star Chamber treatment. Kable pleaded the Constitution. He pleaded it at first instance, on appeal and in the High Court. His plea was not heard by Levine J, and Kable was jailed for six months under the Community Protection Act 1994. Grove J, another Supreme Court Justice was more circumspect. He refused to jail Kable, after two learned professors voiced criticism of the legislation. The hand of the Director of Public Prosecutions was forced to take it to the Court of Appeal. They affirmed the legislation. Kable was granted leave to appeal to the High Court of Australia. He was successful there. The decision was four to two. That law was law in New South Wales at the formation of Australia as one colony, or an independent nation. It was a condition precedent to the formation of that entity. If Dicey, Bentham, Austin, HLA Hart and Dworkin, as jurisprudential thinkers are correct, then the plain words of section 118 Constitution are and remain sufficient to bring in the Habeas Corpus Act 1640. 16 Car 1 c10. Sir Maurice Byers urged the court to apply Section 109 Constitution, coupled with section 5 of the Commonwealth of Australia Constitution ACT. The rule of law depends upon estates. A mans estate is his body and all his possessions. Trespass upon any part of that estate is unlawful. It has been unlawful since before the Magna Charta in 1215, but before that, the King was allowed to trespass. On pain of civil war, the King granted to his subjects a Great Charter, which was to govern, and has governed relations between the Crown and the subjects of the kingdom ever since. Educating people on how a community is governed by written laws! Directions to and or decided by a jury. where I have not got evidence of the successful conclusion. notice of that, the fact the orders were made. anything like that would go to the jury. being able to spend a little more time on it. That's as I saw it. think there are some additional ones. than amenable to deal with that. in the court sensibly have adopted. At some stage I would invite your Honour to formalise that position. chance and let me know what your final position is. Dr Schwartz as you would expect. we will make a copy available to my learned friend. all these fears were groundless. HIS HONOUR:  There was a case of Mr Tillman. look at the serious sexual offender. It is judgment by psychologist and psychiatrist. day at the very end of the trial of facts by the judge. sit in the house, "Plainly intended...would be imprisoned". into an executive organ so there is some distinctions. This is a new case. It is brought about by the Government. it is in our written submissions. So we are joined on the matter of principle. refer to one I am not making the point. well have wondered if he got through the leave gap but he didn't. didn't get through the leave, I suspect. process was certain steps to be taken by the Supreme Court. wrongfully brought about the situation. perhaps has been waiting to come up. HIS HONOUR:  Rather hope we never see it again. NEIL:  I hope so, your Honour. gaoled the law takes a step backwards. it is almost like one of those law school conundrums that has been served up. Chambers rather than the Registry. Hoeben J’s judgment KABLE v STATE OF NSW  NSWSC 811, handed down this morning, Friday 30 July 2010, giving judgment for the defendant (State of NSW) with costs in favour of the State. The plaintiff has failed to make out any of the causes of action relied upon in his statement of claim. 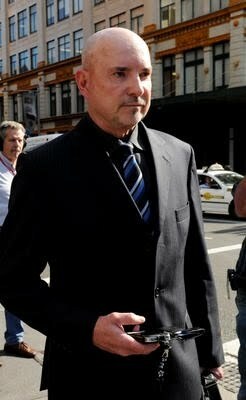 He has failed to make out his claim for malicious prosecution because the defendant (State of NSW) was not his prosecutor, there is no evidence of malice, institutional or otherwise to go to the jury, and the evidence is overwhelmingly to the effect that the DPP had reasonable and probable cause to bring proceedings under the CPA against him. He had failed to make out his claim for collateral abuse of process because the defendant was not a party to the proceedings and there is no evidence of and improper purpose associated with the proceedings under CPA. His claim for false imprisonment fails because his imprisonment took place pursuant to orders of a superior court which were effective until they were set aside. Recommendations that we appeal within the 28 day appeal period running from today, were discussed earlier today. We had anticipated fuller reasons, than we received, after such a long period of being reserved (8 months). Well I'm not a lawyer friends but I dare say that this is the answer to the above judgment. In regards to the judgment I say that there is evidence in that the CPA was [invalid]. 1)  if the Attorney-General is satisfied by a police report ? be made to the supreme court for an order? 3) the Court must, on application may imprison a person? the judicial power of the Commonwealth invested in Chapter III of the Constitution? consistent with judicial process, triggers a particular legislative consequence? Kable v Director of Public Prosecutions (NSW) (1996) 189 CLR. repealed law is also responsible for the damages? 9) The agreement between the applicant and the defendant was, if we dropped the DPP from the claim, then if the DPP were responsible, then the State would cover the liability. 10) Why would the High Court send a litigant away with a judgement in his favour, if that litigant would lose the damages caused by the invalid law and ruling, in a cause of action, in a lower court? Only a very vindictive court would cause a huge monetary loss to any party, (thinking they’d won), to then proceed for damages that, according to a single judge, had no standing or credibility in his lower court. 11) Why wouldn’t Hoben J acknowledge who was David and who was Goliath I.E. whether both parties were equal in capacity to argue and to fund a defence against damage caused by CPA judged by the High Court to be invalid? 12) Part of the CPA struck out was the no State liability clause? other hand, requires the Court to make a finding of fact of dangerousness. fact on the suspected future behaviour of a past offender which may or may not materialise. From February to August 1995 the appellant was held in a New South Wales prison in accordance with an order made by a Supreme Court judge, on an application by the Director of Public Prosecutions, purportedly under the Community Protection Act 1994 (NSW). That Act permitted a detention order to be made in respect of the appellant (and no one else) if a judge were satisfied that he was likely to commit a serious act of violence and it was appropriate to hold him in custody. The appellant successfully challenged the constitutional validity of the Act in the High Court. The High Court held that the Act was inimical to the exercise of judicial power. It was wholly invalid, as were all of the steps taken under it. solely on the basis of the detention order made under the invalid Act. jury in respect of any of the three causes of action. (b) whether the persons giving effect to the order enjoyed protection from liability. A v State of New South Wales  HCA 10; 230 CLR 500 applied. Bill of Rights 1688 (Imp); O'Chee v Rowley (1997) 142 FLR 1; Street v Hearne  NSWCA 113; 70 NSWLR 231; James v The Commonwealth  HCA 9; 62 CLR 339 applied. Kable v Director of Public Prosecutions (NSW)  HCA 24; 189 CLR 51 applied, Residual Assco Group Ltd v Spalvins  HCA 33; 202 CLR 629; Haskins v Commonwealth  HCA 28; 244 CLR 22 referred to. Love v Attorney-General (NSW)  HCA 4; 169 CLR 307 applied, Ousley v The Queen  HCA 49; 192 CLR 69; Grollo v Palmer  HCA 26; 184 CLR 348 referred to. Minister for Immigration and Multicultural Affairs v Bhardwaj  HCA 11; 209 CLR 597, Pelechowski v Registrar, Court of Appeal  HCA 19; 198 CLR 435; United Telecasters Sydney Ltd v Hardy (1991) 23 NSWLR 323; Attorney-General (NSW) v Mayas Pty Ltd (1988) 14 NSWLR 342; Love v Attorney-General (NSW)  HCA 4; 169 CLR 307 applied; Peters v Attorney General (NSW) (1988) 16 NSWLR 24 referred to. Kable v Director of Public Prosecutions (NSW)  HCA 24; 189 CLR 51 applied; Residual Assco Group Ltd v Spalvins  HCA 33; 202 CLR 629; Felton v Mulligan  HCA 39; 124 CLR 367; referred to; Re Macks; Ex parte Saint  HCA 62; 204 CLR 158 distinguished. Robertson (1997) 92 A Crim R 115 distinguished. Love v Attorney-General (NSW)  HCA 4; 169 CLR 307 applied. The Supreme Court found on Wednesday 8 August 2012 that Gregory Wayne Kable was unlawfully imprisoned and should be awarded damages. His advocates say he was a political "poster boy" for a NSW election campaign run on law and order. Mr Gregory Wayne Kable, who was jailed in 1990 for the manslaughter of his wife with a non-parole period of four years, has successfully sued the state for wrongful imprisonment. During the first twelve months in jail Mr Kable wrote threatening letters to people that were denying him access to his children just 4 years of age and 2 years of age after a very sharp separation of them and was given an additional term of 16 months on his original sentence. A decision was made by the Supreme Court in February 1995, following an application by the DPP, to continue to hold Mr Kable in custody. The order, made under the Community Protection Act, said a prisoner could be held in custody if a judge were satisfied "he was likely to commit a serious act of violence." But the John Fahey government passed the Community Preventative Detection Act in December 1994, which extended Mr Kable's incarceration another six months until his release in August 1995. In 1996, the High Court found the legislation invalid and unconstitutional. On Wednesday, Brett Collins from Justice Action told AAP that Mr Kable became the political poster boy for an election run on law and order. In Mr Kable's recent submission to the Supreme Court, Court of Appeal, his lawyers said that just months before he was freed the government foreshadowed legislation that would enable the "preventative detention" of people who were "likely to commit an offence" and could not otherwise be detained. "(It) applied to only one person in the whole world ... namely Kable," his current appeal submission states. In the Supreme Court in Sydney on Wednesday, five justices unanimously found Mr Kable had been unlawfully imprisoned by the state for six months, and that NSW was liable for damages. Mr Collins said the judgment was a vindication for Mr Kable, who had spent years "looking over his shoulder". "For Gregory he felt that he was personally attacked and that left him feeling quite concerned for his stability," Mr Collins told AAP. "He always felt that someone might take away his liberty." In handing down the judgment, the justices said they were "dealing with the non-judicial incarceration of a person, without valid statutory foundation" in a process that was "repugnant and antithetical to legal proceedings and to the exercise of judicial power"
"It does not appear that any defence remains available to the state and the appellant is entitled to a judgment on the issue of liability of false imprisonment, with damages to be assessed," they found. NSW Attorney-General Greg Smith's office told AAP the government was getting legal advice about the possibility of an appeal. The Court of Appeal remitted the case back to the trial division to hold a further hearing to assess damages. Constitutional law – Judicial power – Respondent detained pursuant to order of Supreme Court on application of Director of Public proceedings pursuant to purported State legislation – Legislation subsequently held invalid – Respondent sought damages from the appellant for false imprisonment – Whether orders of Supreme Court valid until set aside – Whether the orders of a State Supreme Court exercising federal jurisdiction in resolving the constitutionality of a State Act and exercising powers pursuant to that Act are deprived of the character of judicial orders by reason of the subsequent invalidity of the State Act. Torts – False imprisonment – Defences – Lawful authority – Respondent held under order of Supreme Court that was subsequently set aside – Whether persons acting to obey orders of a State Supreme Court, which were valid on their face, have defence of lawful authority to tortious liability at common law. *The due dates shown for documents on this page are indicative only. principle is not so limited. Thank you, your Honour. Is, then, the writ a nullity? I think not. it refers to this distinction between a writ as a nullity and an irregularity. waive that, in my respectful submission. principles which I wish to take your Honours to. Thesiger L.J. in the Court of Appeal in Martin v.
error involving reception of depositions, was it not? of a superior court as a nullity. that it is not confined to inferior courts. dissent on the reasoning or the general principle. of these authorities appear to be Craig v. Kanssen; Marsh v.
time it is sought to be enforced against him. the process to take - to intercept enforcement is to set aside the order. Absent setting aside the order, the order stands. MR BATES: Yes, your Honour, that came back to what I have called a provisional validity. Just to remind your Honours of how we put our submissions, we say this was not our judicial order. If you are against us on that, we say that even though it had a validity of some provisional sort while it was still there but once it was set aside - and this is the important step - it is set aside ab initio, as with a bankruptcy annulment. We say that is what is meant by the words “null and void” in that passage that I have just read to your Honour from Justice Williams. That may be a tendency but, your Honour, what I am trying to show your Honours is not that this line of authority compels the outcome of this case, what I am trying to really show your Honours is this - that my friends advanced the proposition as a proposition without qualification or exception or reservation that a judicial order of a superior court is valid until set aside. What I am trying to demonstrate to your Honours is that there is also a sort of qualification or reservation to that line of decisions that says, yes, but there are certain categories of orders made by superior courts where there are grave procedural irregularities which have the effect that the order does not have the full effect. Now, your Honours, I accept it does not compel the case here, but my respectful submission is that that line of thinking does inform the way in which your Honours should interpret Chapter III impairments in this case - that is how I put it to your Honour - just to show that there really is this other category. So, if I could move on from that, your Honours. Your Honour, the next point, going to page 2, paragraph 3 of our outline, is the federal jurisdiction issue and the suggestion that is made against us that because Justice Levine had a constitutional challenge and that he ruled on that, then that then picked up the Community ProtectionAct and federalised the dispute, and that the rest of the dispute, including the Community Protection Act proceedings, were there for, relevantly, a judicial function that appears to be the argument we have to meet. In our respectful submission, your Honours would not be persuaded by that argument, but we say it was rightly rejected by the Court of Appeal. The argument against us relies on the interpretation of the word “matter”, but in answer to that we say one has to go back to the nature of the Kable impairment, which is the function. The court is exercising a certain function. Although it is true that Justice Levine had to deal with the constitutionality of the Community Protection Act we say that does not then give immunity – that is the wrong word to use - we say that does not mean that anything he does after that by definition becomes a judicial order. In our respectful submission, that is a step this Court should not take. We say that one of the things that is clear from this Court’s decision in Kable 1996 is that it was not just the order itself that was defective. It was the whole proceedings, the substantive proceedings, the actual embarkation on the actual proceedings. It did not occur that way, but a way to think about it, we submit, is that his Honour could have dealt, as a separate question, with the question of constitutionality. He dealt with it as part of other things, but it could have been dealt with that way, as a separate question, and that separate question could indeed potentially have been the subject of appeals perhaps all the way up the ladder before embarking on the rest of the case, remembering, of course, that Mr Kable was already detained anyway under other laws. If, in fact, Justice Levine had just dealt, as a separate question, with the constitutional issue and that that had taken a separate course all the way up to the High Court, the legislation would have been unconstitutional and no order would have been made against Mr Kable under the CommunityProtection Act. Now, Chapter III, in our respectful submission, should not turn on an issue such as whether or not procedurally the determination of constitutionality was dealt with in the course of other proceedings rather than as a separate question. In our respectful submission, Chapter III is a far more important protection of rights than that. In our respectful submission, one has to go back to Kable 1996. What was it that made that a Kable impaired process? It was not the constitutional aspect. It was the actual proceedings, the whole proceedings under the actual Act. Justice Levine did not need the Community Protection Act to rule on the constitutional issue. He had that jurisdiction already, he had that jurisdiction from the Judiciary Act and from the Constitution and from the inherent powers of the Supreme Court. He did not need the Community Protection Act to deal with constitutionality, he had that jurisdiction. He did need the Community Protection Act to deal with the actual order that was made under the Act, and that is the distinction. The real authority that he relied upon for the constitutional issue was not the impugned Act, and so although it may be federalised it was not really the same – it was not – it was a separate issue, it was a separate function. The function that was criticised by this Court in 1996, it was not the function of ruling on constitutionality. It was the function of dealing with the substantive proceedings under the impugned Act. That is how we distinguish the federal jurisdiction point, your Honours. Now, your Honours, moving on then to the issue of what I call the gaoler’s defence, at paragraph 4 of our outline we make a number of submissions here, your Honours. First of all we say that it is no defence to the gaoler – that is, to the servants or agents of the appellant – if this was not in fact a judicial order. It is no defence to detain someone because of a belief, even on the face of the document, that it was a judicial order. There either was authority or there was not, and there was not. KEANE J: So you say that the officer of the Executive Government was bound to come to his own view about whether the order was valid or not? MR BATES: No, your Honour. Well, your Honour, realistically I accept the proposition that the gaoler would probably take the view that what appeared to be an order, in the sense it was on a bit of paper and had a stamp on it, probably thought it ought to be followed. KEANE J: That is how most orders appear. KEANE J: Well, what I am asking you is, so in that situation where you say it was not in fact, more precisely it probably – more correct to say it was not in law an order. MR BATES: Yes, your Honour. KEANE J: So is your contention that it was an obligation of an officer of the Executive Government to decide what the law was? MR BATES: No, your Honour. We put it this way, your Honour. False imprisonment is a strict liability tort. The tort is prima facie complete upon the detention. At that point the onus shifts to the appellant to raise a defence. They have the onus. KEANE J: We are talking about a system in which the judiciary is that department of government whose characteristic responsibility is to say what the law is. KEANE J: That is the foundation of the whole system. It infuses Chapter III. The last thing that would be consistent with that system would be a notion that the ultimate decision-maker as to what the law is would be the Executive Government. MR BATES: Well, your Honour, there are cases where – in one sense one has a competition here between evils. There is the evil of detaining someone who should never have been detained who has been there for six months and that has to be weighed in the equation as well. We say that at least where the Chapter III threshold has already been met that the evil has been weighed too heavily against Mr Kable by saying his detention was lawful. KEANE J: Do I take it then that you are not saying that it was the responsibility of the gaoler to decide on whether the order was lawful or not? MR BATES: No, your Honour, the gaoler was the servant or agent of the appellant. We have not sued the gaoler. The gaoler may have a defence. The gaoler may have a defence of immunity but we are not suing the gaoler. KEANE J: A gaoler has a defence on the basis that he was acting on a court authority. Where is the tortious liability? MR BATES: But, your Honour, in our respectful submission, he was acting on his belief he had a tort – his belief which with hindsight we know was wrong. A bona fide belief is not a defence to trespass. KEANE J: I am sorry, I thought you – do you accept that he was entitled to do what he did on the strength of the court order? MR BATES: We accept as a practical matter he probably would, but we do not say he was entitled, no. KEANE J: So you say he was not entitled to act on the court order. So you must be saying that he was duty bound to make his own mind up about what the law was. MR BATES: No, your Honour, in my respectful submission, that does not follow, your Honour. In my respectful submission, the defence the gaoler might have is different from the appellant’s position. BELL J: Are you raising section 46 of the Prisons Act as it then was - I think it is - the provision that purports to confer immunity on persons for acts done bona fide? MR BATES: Yes, your Honour, but that Act did not apply here because under the Community Protection Act - that may have been available in the ordinary case but because of this legislation that did not apply. MR BATES: What would have potentially arisen, which answers your Honour’s question, is that section 28 of the Community Protection Act was a similar provision but that fell away because he was not detained under the Prisons Act. That did not assist them either. Your Honour, if I could answer – if I could pick up from what your Honour Justice Bell just asked me in further answer to Justice Keane, in many cases the prison officer would have the defence of section 46 or its equivalent in the different States. Indeed, when the matter was argued here in this Court in 1996, the DPP asked this Court to give validity to section 28 but the Court did not do that. So to answer your Honour in this way, in many cases, although the prison official’s belief that the order had to be carried out would, in fact, be a statutory defence, that comes back to the point I made earlier this morning where I explained that even though an order might not be a judicial order it might be that the conduct can be validated sometimes on another ground. So, to come back specifically to your Honour’s question, we would say the correct analysis is this, that in carrying out the order, and on the assumption that he had a belief that it was valid, had it been under the Prisons Act he would have had a defence. But it was not under the Prisons Act, it was only under this Act, and we would say there is no common law defence apart from legislation in using the defence. That is how we put it, your Honour. having or deeming himself, herself or itself to have any just claim or demand whatever . . . may bring civil proceedings against the Crown under the title “State of New South Wales” in any competent court. (2)	Civil proceedings against the Crown shall be commenced in the same way, and the proceedings and rights of the parties in this case shall as nearly as possible be the same, and judgment and costs shall follow or may be awarded on either side, and shall bear interest, as in an ordinary case between subject and subject. (b)	the performance of a function includes a reference to the exercise of the function and the failure to perform or exercise the function. Could I just interpolate there, the tort in this case is the detention. The actual dentation is the prima facie tort. Then there is a matter raised by way of a defence. The tort is the actual detention that was carried out. It is common ground, it has been admitted, the detention was carried out by the appellant’s servants and agents who are the gaolers. BELL J: By the gaoler acting on the warrant that issued on the order of Justice Levine? I raise the matter just to inquire, had your client brought proceedings for habeas corpus would it have been a sufficient answer to establish the fact of the warrant based on the order of the superior court? BELL J: Well, the same question arises, Mr Bates. Would not the answer to the writ have been complete on satisfaction by proof of the order? MR BATES: If the order was valid the argument would then get to the same question which was whether it was a valid order or not, your Honour. HAYNE J: Prima facie, it would not be open to collateral challenge? MR BATES: Well, yes, your Honour, on our case it would be because it was not a judicial order. and, in effect, before the party complaining had taken another step. It is in that context that you get this distinction raised between mere irregularities and steps that are void and I think that there is great risk in translating that distinction fashioned in the light of the specific provisions of rules of court into some broader constitutional principle. What I have in mind about void is entry of judgment in default of defence before time for the defence has expired. No authority under the rules held “void”, not mere irregularity. MR BATES: Yes, your Honour. I accept that, your Honour, but my submission still is that there is a recognition that orders may have an impaired quality. MR BATES: Your Honour, coming back to your Honour Justice Bell’s question to me, in my respectful submission, the bona fide but erroneous belief would not be a defence in a situation where there is a common law in the absence of any legislative provision equivalent to section 46 that applied. That would be my submission, your Honour. CRENNAN J: The other point, I suppose, is sometimes the distinctions of which you are speaking are deployed in the context of deciding whether or not a particular order is amenable to prerogative relief, and that was clear from a number of the cases you took us to. CRENNAN J: Again, there would be a danger in extrapolating. MR BATES: There would, your Honour, but one difference here is that this is an action in tort and the onus is on the appellant to make out its defence because the tort is already complete upon the detention. In the other situation, the habeas corpus situation, the applicant for the prerogative writ carries a burden of persuading the court that they have been unlawfully detained. Here the burden shifts to the defendant or in this case the appellant. KEANE J: Mr Bates, it is for the tort. It is not for an act or omission. It is for the tort. It is for what is, in common understanding, a civil wrong for which the agent is liable. KEANE J: This Act is designed to make the Crown liable too, but it proceeds on the footing that the agent, the gaoler if you like, is liable. So if the gaoler has a good defence, this Act is not engaged because there is no tort. MR BATES: To try and answer your Honour, if I could take you in fact to a decision of the English House of Lords which we ask your Honours to follow, we would submit that – that is Brockhill’s Case, your Honour, R v Governor of Brockhill Prison; Ex parte Evans (No 2)  UKHL 48;  2 AC 19. This is a case where the prisoner had been detained in prison. The governor had calculated the dates of detention and release in accordance with the line of decisions that was then overturned. When the prisoner was detained, as it turned out for longer than he should have been, the calculation of how long he should have been detained was in accordance with this line of decisions that was subsequently disavowed. The question was whether the prisoner had a cause of action, because in fact, or in law to be more precise, in law the calculation had been incorrect, even though at the time he was detained it was in line with the then current interpretation of the law. It is accepted that false imprisonment is a tort of strict liability equally clearly deprivation of liberty may be shown to be lawful or justified. If the claim is looked at from the governor’s point of view liability seems unreasonable; what more could he have done? If looked at from the applicant’s point of view she was, it is accepted, kept in prison unlawfully for 59 days and she should be compensated. Which is to prevail? Despite sympathy for the governor’s position it seems to me that the result is clear. She never was lawfully detained after 17 September 1996. She was merely thought to be lawfully detained. That is not a sufficient justification for the tort of false imprisonment even if based on rulings of the court. Although in form it is the governor, it is in reality the State which must compensate her for her unlawful detention. false imprisonment is a tort of strict liability, the consequences of which cannot be escaped even by showing that the defendant acted in accordance with the view of the law which at the time was accepted by the courts as being correct. FRENCH CJ: Ultimately, this was based upon a misinterpretation of the law by the defendant. FRENCH CJ: It was a valid order. It was a question of what the interpretation was, and there are interpretations by some decisions of courts. There had been a decision of a divisional court which is called into question and the governor got it wrong - backed the wrong horse, as it were. FRENCH CJ: That is very different from acting in response to a valid order later found to be invalid. a defendant may be liable for false imprisonment of a plaintiff in circumstances where the defendant acts in good faith on a view of the law which appears to be settled by precedent but which subsequently turns out to have been wrong. My Lords, the principles of law invoked by the two sides pull in opposite directions. On balance I think the arguments of the applicant outweigh those of the Solicitor General. The tort of false imprisonment is a tort of strict liability . . . the essence of the tort of false imprisonment that the imprisonment is without lawful justification. the defence of justification lacks a secure foundation on the facts. and that is to be done by the governor. It is to be done administratively and here the governor got it wrong. How does that bear upon this issue? MR BATES: Well, your Honour, in my respectful submission, this is an infirm order. I really cannot take it further than that, your Honour. This is an infirm order and we say it does not provide the protection of an ordinary order for the reasons I have already taken your Honour to, which I will not repeat, your Honour. Your Honour, I will not sort of read them out, but certainly in Watson v Marshall  HCA 27; (1971) 124 CLR 640, it is emphasised that there has to be a proper authority to detain the respondent. In my respectful submission, in summary in this aspect there was not a judicial order at all, but if it was it was an infirm order and that once it was set aside, it was set aside ab initio and it does not protect the respondent. Your Honours, that really deals with what I will call the appeal and then we move to the notice of contention. MR BATES: Well, your Honour, we say that our case on malice is that malice now means - more broadly in this case we say it was an attempt to detain him and to use the language of – by an improper purpose in the sense that the proceedings were never capable of achieving the object. We know that because they were constitutionally infirm proceedings. The Executive Government did not have to in fact take the proceedings under the – the Act was passed and provided a facility to take proceedings, but the Executive Government is quite clear it was carrying out a course of conduct right from October 1994 through to February 2000 - 1995. FRENCH CJ: So, sorry, how does the malice arise? FRENCH CJ: Well, they make an application – let us assume we can aggregate everybody into the Executive Government for the moment – so they make an application or an application is made for a detention order pursuant to a law. You say it is not necessary for your cause of action that they knew the law was constitutionally infirm. MR BATES: No, your Honour. FRENCH CJ: Again, that is only a premise that the Executive, and I use that term broadly, takes an application under a law apparently duly enacted by the Parliament of New South Wales not knowing the law to be constitutionally infirm - that is your premise - and you say that that involves an abuse of the process of the court? FRENCH CJ: Well, that is about characterisation of the legislation, is it not? MR BATES: Well, yes, your Honour. We say, just on that aspect, that it is not a requirement for either malicious prosecution or for abuse of process; we say it is not a requirement that the actor has a subjective awareness of the objective quality of the conduct. We would say the actor has to have a subjective intention, which is here to keep him in gaol, but we say that the Executive Government does not have to have some subjective awareness of the objective characterisation of the particular conduct. FRENCH CJ: Is that everything you want to say in relation to the question whether special leave should be granted to allow you to cross-appeal, apart from the merits, just on the question of whether special leave should be granted? FRENCH CJ: In the opinion of the Court, the cross-appeal is not attended with sufficient prospects of success to warrant the grant of special leave. Special leave will be refused. MR BATES: Thank you. Your Honour, there was one matter which I overlooked in my answers before to Justices Bell and Keane in the false imprisonment. May I have leave just to raise one further matter? statutory exemption means a provision made by or under an Act which excludes or limits the liability of a person. person, any statutory exemption conferred on that other person is to be disregarded. (3)	Except as provided by this section, nothing in this Act affects a statutory exemption conferred on a person. So in our respectful position, first of all we say the Parliament is showing here that a defence that a gaoler might have – at least by statute – does not necessarily vest with the principle. We say that by analogy the court would adopt the same approach at common law. Your Honour, that was the only additional point I wished to make. FRENCH CJ: Thank you, Mr Bates. Yes, Mr Solicitor. I fail to see how the State can call it an order based on the unconstitutionality of the CPact. I fail to see how the State can rely on federal jurisdiction based on them making the alleged order before deciding constitutionality. I fail to see how the State had lawful justification. I fail to see how the High Court have not granted us leave for a cross appeal on Malicious Prosecution and Collateral Abuse of Process. Perhaps to protect the State of NSW? How could the executive government and drafters of the Cpact not know that it was unconstitutional? What happened to our submission in relation to the disentanglements of the real culprits? The executive Liberal government wanted to win a state election based on law and order. To say that the motives of parliament cannot be impugned means the executive is standing behind the protection of the parliament. Not fair! Clearly the malice was using me to win an election and these were motives which I say were malicious. Therefore I fail to see how the State can deny us on false imprisonment. "I can see the reasons, conformable with maintaining confidence in orders of the courts, for extending the operation of the assumed common law rule even to circumstances that involve extraordinary legislation such as the CP Act and the vices therein contained, and for extending the common law protection of persons such as the gaoler who act on the invalid non-judicial orders made under such legislation, as long as, in form, they are issued in the name of a court. The countervailing considerations are, however, far more powerful, in my view. This was not a judicial order. It was not made after judicial process. To extend the assumed common law principle to protect those who deprive the liberty of persons under such orders would be to fashion the common law to give efficacy to the unconstitutional attempted exercise of will of the executive, to deprive a subject of his liberty, in circumstances where the officer, who acted bona fide, is already protected by statute. I would not be willing to extend the assumed common law principle in this way. Further, if I am correct in my view that the assumed common law principle does not extend so far as to cover the present circumstances, it might be thought that it is for the High Court to take that step, given the deep involvement of constitutional principle and the operation of the integrated legal system in the Commonwealth. It is therefore unnecessary to consider finally the existence and reach otherwise of any such common law principle." I'm not certain if they can chop of my head? but in my mind we have defended our case inline with the Court of Appeal Judgement. Remember that Brennan CJ and Dawson J the only two High Court judges nominated by a Liberal government upheld the 1996 judgement as valid. At 10.am on 5th June 2013 the High Court of Australia chopped off my head, left me totally bankrupt and failed to explain how I could have been sentenced without due process and falsly imprisoned by the State. I found it difficult to believe that the Court of Appeal was unanimous and upheld the appeal, yet the High Court was unanimous in upholding the appeal by the STATE to overturn that decision. How could legislation that was invalid at proclamation now be deemed valid until set-aside? Today the High Court unanimously allowed an appeal by the State of New South Wales and held that a detention order made by a judge of the Supreme Court of New South Wales under legislation later held to be unconstitutional was a defence to a claim for false imprisonment. The order was held to be valid until it was set aside. Mr Gregory Wayne Kable was detained in custody for six months in 1995 pursuant to an order of the Supreme Court made under s 9 of the Community Protection Act 1994 (NSW) ("the Community Protection Act"). Mr Kable unsuccessfully appealed against the detention order to the Court of Appeal. After Mr Kable was released from detention, he successfully appealed to the High Court. The High Court ordered that the detention order be set aside on the basis that the Community Protection Act was unconstitutional and was therefore invalid. Following the decision of the High Court setting aside the detention order, Mr Kable commenced proceedings in the Supreme Court, ultimately claiming damages against the State for abuse of process, false imprisonment and malicious prosecution. A number of preliminary questions were decided by the primary judge against Mr Kable and judgment was entered for the State. Mr Kable appealed to the Court of Appeal. That Court allowed the appeal in part, holding that Mr Kable should have judgment against the State for damages to be assessed on his claim for false imprisonment. By special leave, the State appealed to the High Court. The Court unanimously allowed the appeal, and held that the detention order was valid until set aside. It had therefore provided lawful authority for Mr Kable's detention. The primary judge's orders dismissing Mr Kable's claims were reinstated. This statement is not intended to be a substitute for the reasons of the High Court or to be used in any later consideration of the Court’s reasons. 16) "The incompatibility with institutional integrity which was identified in Kable (No 1) lay in the Supreme Court being required to act as a court in the performance of a function identified as not being a function for the judicial branch of government. The majority in Kable (No 1) described the function which the CP Act required the Supreme Court to undertake in several different ways. All of those descriptions emphasised that the function which the CP Act required the Court to fulfil was not judicial. So, for example, Gaudron J said16 that the power given by the CP Act "is not a power that is properly characterised as a judicial function, notwithstanding that it is purportedly conferred on a court and its exercise is conditioned in terms usually associated with the judicial process" and that "except to the extent that the [CP] Act attempts to dress them up as legal proceedings ... they do not in any way partake of the nature of legal proceedings"17. But these and other similar statements made in the reasons of the majority in Kable (No 1) proceeded from the premise that the CP Act required the Supreme Court to act as a court in performing the function prescribed by the CP Act. As Gummow J later said, in Fardon v Attorney-General (Qld)18, the "legislative plan" of the CP Act was "to conscript the Supreme Court of New South Wales to procure the imprisonment of [Mr Kable] by a process which departed in serious respects from the usual judicial process". It is, therefore, to misstate the effect of the decision in Kable (No 1) to hold, as the Court of Appeal did19, that in exercising power under the CP Act, "the Supreme Court was not exercising judicial power or authority and was not acting, institutionally, as a superior court". The majority in Kable (No 1) held that the CP Act was invalid because it required the Supreme Court to exercise judicial power and act institutionally as a court, but to perform a task that was inconsistent with the maintenance (which Ch III of the Constitution requires) of the Supreme Court's institutional integrity." "But if he has already been convicted, then because his liability has merged in the conviction, it no longer depends upon the law under which it arose, and it does not lapse with the revocation of the law. The conviction has become the source of his liability for his offence, and the conviction continues in force because its operation does not depend upon the law creating the offence, but upon the authority belonging to a judgment or sentence of a competent Court." This is interesting about the idea of an alleged 'court'. [T]he relevant principal is on which hinges upon maintenance of the defining characteristics of a "court", or in cases concerning a Supreme Court, the defining characteristics of a State Supreme Court. It is to those characteristics that the reference to "institutional integrity" alludes. That is, if the institutional integrity of a court is distorted, it is because the body no longer exhibits in some relevant respect those defining characteristics which mark a court apart from other decision-making bodies. So in their own words the idea that a Court made the decision and therefore valid on its face until set aside doesn't follow with the above idea of a what an alleged court in this case had decided. The alleged court made an administrative, executive decision that sent a person to prison on the balance of probabilities and with the rules of evidence taken away so that any information the government provided to them could be used in evidence, even when it would not be accepted in a court of regular due process which we are all entitled to if an allegation is made or an alleged crime had been said to have been committed. Instead they withdrew police charges and granted bail then sentenced me on the behest of the State for no crime. And now that's my fault and I am liable? 41) "Finally, it will be recalled that Mr Kable submitted that the effect of this Court's orders in Kable (No 1) was to render the order of Levine J void ab initio. This Court did not declare the order made by Levine J to be void. As a judicial order of a superior court of record, the order of Levine J was valid until set aside. It was not "void ab initio". Then how did the Court of Appeal and everyone else get it totally wrong? They just changed the status? 77) "The better view of Kable (No 1) is that there was a single matter before the Supreme Court constituted by the disputed entitlement of the DPP to a preventive detention order under the CP Act. That matter encompassed but was not confined to whether the Supreme Court had jurisdiction and whether the CP Act was invalid as incompatible with Ch III of the Constitution. The matter extended to whether the preventive detention order applied for by the DPP, if it could be made, should be made. The order made by Levine J, upheld in the Court of Appeal, resolved the whole of that matter in the exercise of judicial power within federal jurisdiction. The order was "an adjudication to determine the rights of parties"116. "The order made by Levine J in the purported exercise of jurisdiction invalidly conferred on the Supreme Court by the CP Act was therefore a judicial order." However they were not judging lack of jurisdiction, they were judging unconstitutionality. There was no order from proclamation! So where is the lawful authority? Where was due process that wasn't hacked? There was no rights of parties determined, only the rights of the State Executive to determine a single named person should go to Jail and that is what this claim was about. Sending a person to prison for no crime on the balance of probabilities and described by the High Court in Kable 1 as a mockery of justice, repugnant jailing, an antithesis to the rule of law etc. So if the court had decided I be hanged because of the CP Act then that should have been valid until set aside? Before any alleged order should have been made by Levine J to send a person to prison the appeal ought to have settled the constitutionality and the validity of the CP Act which was contested from day one. Because the constitutionality wasn't tested and liberty was taken away the High Court say that the State had lawful authority. 52) "Yet a purported but invalid law, like a thing done in the purported but invalid exercise of a power conferred by law, remains at all times a thing in fact. That is so whether or not it has been judicially determined to be invalid. The thing is, as is sometimes said, a "nullity" in the sense that it lacks the legal force it purports to have. But the thing is not a nullity in the sense that it has no existence at all or that it is incapable of having legal consequences65. The factual existence of the thing might be the foundation of rights or duties that arise by force of another, valid, law. The factual existence of the thing might have led to the taking of some other action in fact. The action so taken might then have consequences for the creation or extinguishment or alteration of legal rights or legal obligations, which consequences do not depend on the legal force of the thing itself. For example, money might be paid in the purported discharge of an invalid statutory obligation in circumstances which make that money irrecoverable66, or the exercise of a statutory power might in some circumstances be authorised by statute, even if the repository of the power acted in the mistaken belief that some other, purported but invalid exercise of power is valid67. 53) One of the ways in which the existence in fact of a purported but invalid law, or the existence in fact of a thing done invalidly in the purported exercise of a power conferred by law, might lead to the taking of action in fact is that the purported law or other thing might be relied on to found an action in a court which results in the making of a judicial order. Where that occurs, the judicial order will have independent legal force as a judicial order. That is illustrated by Victorian Stevedoring and General Contracting Co Pty Ltd and Meakes v Dignan68, where convictions by a magistrate for offences under regulations were sustained notwithstanding the subsequent disallowance of those regulations with retrospective effect." How can a nullity be a thing? It is null and void! Surely a thing has to have a digit? I mean the difference between nothing and nothing is surely NOTHING that is No Thing! The problem with the Thing is that I don't own it yet my name is on it? Who is responsible for that? NO Thing? Or the State Thing? If the Thing caused another Thing then why wasn't the original Thing responsible for the Thing that caused me to defend myself for 17 years in relation to false imprisonment, assault, copyright infringement (using my name in vain) posted all over the net with a law for one man? Who pays my lawyers and the Damage the Thing has done including medical expenses? According to the High Court of Australia, NO THING IS LIABLE! This was an unsuccessful action for damages for false imprisonment. and so our position may be likened to that of a person who has served a sentence of imprisonment but whose conviction was subsequently quashed. The remedy, if there is one (and states make their own – pragmatic – arrangements to deal with these situations), if is not an action for damages in tort for false imprisonment, because they argue that the unconstitutional law and subsequent order of imprisonment was lawful. Regardless of the High Courts decision the State of NSW was ultimately responsible for the novel law. However in 17 years of litigation and with many offers made by my legal team to have the matter settled to discontinue the claim, the only offer of settlement for the Miscarriage of Justice that was ever made by the State of NSW for the extraordinary damage that was caused, (which has also led to incredible costs) was that the state would pay its own costs and not pay a penny more for the damages. I would have thought law firms should have confidence in trying to obtain a damages claim based on known knowledge and defences to damages claims but this was Novel. Also note that there are endless copyright breaches by the use of the name of Gregory Wayne Kable and the Community Protection Act 1994. Why is the NSW government not responsible for causing damages and the endless subsequent use and copyright infringements by others that flowed on from their unconstitutional law? I honestly think that liability is a certainty when a person has been damaged provided the source can be committed to trial. Who would have believed that a person could be run down by a state truck and the injured person asked to pay the costs and damages? I knew there was an attitude problem with French. I knew it was odd to offer the state leave based on they pay win or lose the High Court of Australia. It was as if they said well, you pay for it and we will uphold your appeal? Then when they deliberated on the leave for Malicious Prosecution and Collateral Abuse of Process I knew we were dead in the water. Obviously if the parliament never allegedly knew the Cpact was unconstitutional then that was false because those who drafted it did know and the executive government were not disentangled from the house. They were cutting off our defence at that stage, then we would have no tort to rely on once they ruled on false imprisonment. I firmly believed that the HCA seen us coming from along way back and had time to plan a way around it. In a case like this there ought to be some other appeal process to the Governor General in relation to the states liability. The HCA unanimously answered that question with a “Yes”. The joint reasons for judgment concluded that the detention order provided lawful authority for the State to detain Mr Kable notwithstanding the subsequent setting aside of the order by the HCA on the ground that the CP Act was invalid. Justice Gageler, in a separate judgment, agreed with the conclusion and joined in the proposed orders to set aside the orders of the Court of Appeal. In Australian law the point at which decisions made in the exercise of judicial power were given effect, despite the particular decision later being set aside or reversed, was marked by treating the orders of a superior court of record as valid until set aside (at ). In this case, if the detention order made by Levine J was not effective until set aside, those apparently bound by the order were obliged to disobey it, lest they be held responsible for false imprisonment. On Mr Kable’s argument, [?] the order was without legal effect and should not have been obeyed. The decision to disobey the order would have required both the individual gaoler and the Executive Government of New South Wales to predict whether the HCA would accept what were then novel constitutional arguments (at )." The case will shortly appear in the commentary of the Australian Torts Reporter at ¶46-620: State of NSW v Kable HCA 26. Not according to the NSW Court of Appeal see underlined below. Those apparently bound by the order did obey it. as the State was vicariously liable and responsible for unconstitutional law. We did not argue that the order should have not been obeyed! We argued that it was obeyed and that the supervisory role of the court until appeal means the constitutional validity had not been determined by the Highest Court of Australia yet the state acted on it. The individual gaoler was protected and the Executive Government of New South Wales drafted the flawed legislation because it wanted to win an election. They did not need to predict their own malice nor the drafting of the unconstitutional CPAct described by the High Court as mockery of justice. "Because Mr Kable was detained pursuant to an order that had not been set aside during the period of detention, and remained valid during that time, it was unnecessary to examine whether the Court of Appeal should have held that the State was directly liable in false imprisonment, in addition to being vicariously liable for that tort." How could it be unnecessary to examine the decision of the court below? Why did we go there? How come I had to go to the High Court twice for two opposing decisions? The Court of Appeal based their judgement on Kable 1 in 1996. 22 The plaintiff relied on the following statements from the High Court decision in Kable v DPP (NSW)  HCA 24; (1996) 189 CLR 51. The formal basis of the holding of invalidity was that the Community Protection Act 1994 (NSW) was incompatible with Chapter III (the Judicature) of the Commonwealth of Australia Constitution per Toohey J at 99.5, Gaudron J at 108.3, McHugh J at 124.3. According to the plaintiff the followig passages of the High Court decision support findings that Act diminished public confidence in and compromised the integrity of judicial proceedings (Toohey J at 98.6; Gauldron J at 107.4; McHugh J at 121.8, 124.4) and that the Supreme Court was required to participate in the making of a preventive order where no breach of the criminal law was alleged (Toohey J at 98.9 and 100.7); Gauldron J at 106.3; McHugh J at 121) and that the proceedings did not have the character of judicial proceedings (Gaudron J at 106.2, 106.9-107.3; McHugh J at 122.2) and were a mockery of judicial proceedings (Gaudron J at 108.2; McHugh J at 122.5) and was an exercise of political executive jurisdiction (McHugh J at 122.6, 124.2) and a denial of equal and impartial justice without the ordinary processes of law (Gaudron J at 107.9, McHugh at 124.4). These statements must be read in context. Wake up Australia the High Court Reneged! That means they decided the constitution based on unpopularity rather than common law principals. Make no mistake the Community Protection Act 1994 had nothing to do with my original sentence of manslaughter due to diminished responsibility. It was a totally separate 'Thing' that has damaged my whole family and has destroyed any hope of ensuring that I can assist my children in the future and try to repair a broken family. McHugh J identified the Act’s fatal flaws as follows: The Act seeks to ensure, so far as legislation can do it, that the appellant will be imprisoned by the Supreme Court when his sentence for manslaughter expires. It makes the Supreme Court the instrument of a legislative plan, initiated by the executive government, to imprison the appellant by a process that is far removed from the judicial process that is ordinarily invoked when a court is asked to imprison a person. The Community Protection Act 1994 was Novel and difficult to defend. There are endless copyright breaches by the use of the name of (Gregory Wayne Kable) and the (Community Protection Act 1994) all over the Internet which the NSW government according to the High Court of Australia in Kable (No 2) don't have to take responsibility for in terms of the continuing damages caused to Mr Kable. The law was ruled unconstitutional by the High Court of Australia in Kable (No 1) and therefore a nullity, but because the High Court of Australia in Kable (No 2) decided it was constitutional due to the appeal process taken to resolve the matter Mr Kable was ordered to pay costs, a contradiction in terms. Subsequently I re posted it back to wikipedia so this must embarrass some people? By special leave, Mr Kable appealed to the High Court. After the grant of special leave, but before the appeal to this Court was heard, the six month period fixed by the order of Levine J expired and Mr Kable was released from detention. In September 1996, the High Court held that the CP Act was invalid. This Court allowed Mr Kable's appeal, set aside the order which the Court of Appeal had made, and, in its place, ordered that the appeal to that Court be allowed with costs, the order of Levine J be set aside and, in its place, order that the application of the Director of Public Prosecutions be dismissed with costs. It will be convenient to refer to this decision as Kable (No 1). The NSW Liberal Executive Government of NSW drafted the unconstitutional legislation and had known that it was unconstitutional and many complaints were made by numerous agencies like the Law Society of NSW, The NSW Bar Association, NSW Council for Civil Liberties etc. Then the Law and Justice Foundation provided $5,000 to fund the damages claim on behalf of Mr Kable. Criminal: Hills district MP Michael Richardson. When is he going to remove these uncorroborated lies and family court pleadings on the confidential Family Court affidavit from the NSW Parliament website? How can politicians commit criminal acts and not be subject to the law like everyone else? When are the police going to charge him for this crime? That general business order of the day (for bills) No. 14 have precedence on Thursday, 10 April. It is urgent that the Community Protection (Dangerous Offenders) Bill be reordered and debated by this House because at this very moment Gregory Wayne Kable is in the Parramatta Family Court seeking to gain access to his children, Brooke and Clark Kable, aged nine and 11. Mr Kable wants to see them for two hours four times a year, at the end of school terms, with a view to building up a long-term relationship with them. He also wants to know their new names. He has completed a 12-week parent training course and has approached the St Vincent de Paul Society and the Salvation Army to ask whether they could supervise the visits. He says that the children want to see him but that their minds have been poisoned by their guardians. He claims that, far from punishing him,denying access to his children is punishing them. Concerning publication of my children’s names by the Member for The Hills in parliamentary debate and now published on the NSW Parliamentary website. I have asked the NSW Parliament to remove, not only my children’s names but the wrong, uncorroborated, and plagiarised information, and the Family Court Application. Young adults like my two children, ought not be haunted or offended when or if they might decide to search their names on the Internet, and that if they did, that they would not be provided with such offensive and wrong material, for all their friends, relatives, and the general public to search for and see as well. How are you going? I sent this to your email address above and have not received any response to date, so I am forwarding this again to you in the mail. As I am suing State Parliament for damages, on foot, for false imprisonment and assault, (the case coming up to court on 9 November this year), and as well, I have a conflict of interest with my local member Ms Clover Moore, if you don’t know. So I was wondering if you could assist me and pass this material to the person who runs the parliament website to have the wrong information removed. It would appear to the writer that the NSW Parliament website is in breach of S121 of the family Law Act 1975, because at the time the children were minors and certain rules applied, and I would ask if you could assist me with asking that the parliament remove it. I refer to your letter dated 8 October 2009, concerning publication of your children’s names by the Member for The Hills in debate. The Hon Lee Rhiannon has also emailed me in relation to this matter. I acknowledge your concern that the Member named your children in the course of parliamentary debate, and note your advice that the information made public by the Member was probably derived from a Family Court application. While publication of such information outside of parliamentary proceedings may breach the Federal Family Law Act, speaking in a parliamentary debate Members are able to exercise a freedom of speech which is not constrained by statutory prohibitions. The basis of this principal is that the law of parliamentary privilege provides absolute immunity to the giving of evidence before the House Committee. As noted in Odgers, it is “a fundamental principle that the law of parliamentary privilege is not affected by a statutory provision unless the provision alters that law by expressed words” . The New South Wales Legislative Assembly Hansard record of debate held in 1997 has been long published, and the circumstances you refer to in your letter unfortunately do not fall within the House procedures which would enable you to make a citizens right of reply. Thank you for responding to my complaint. I refer to your letter dated October 2009, received on 19 October, concerning the publication of my children’s names on the Parliament website, alongside wrong information, by the Member for the Hills in parliamentary debate. There is no absolute immunity to the giving of evidence that has been provided by two or more parties on a confidential application to the Family Court of Australia, then plagiarized and given before a House or a committee. That material is confidential. I once again ask that that wrong confidential material and my children’s names be removed from the parliament website. This is my final notice, you are hereby given 14 more days to notify the writer that the confidential, offending and unlawful material has been removed, otherwise this material will be forwarded to my lawyer for a further damages claim against NSW. As I have received no response to the final notice I sent to you dated 19 October 2009, to remove from the NSW Parliament Website in 14 days, (my children’s names, the confidential, wrong, uncorroborated, and plagiarised information, from the Family Court Application). Well since then I spoke to Lucy your secretary by phone on 6 November 2009. She told me that you were seeking legal advice about the complaint by us and that my letter was received in your office on 21 October 2009. I would have thought that common sense would have prevailed when I pleaded to Parliament to remove the material. It is with regret that I must inform you that the matter has now been filed in the Supreme Court of NSW at Sydney. Please see Notice of Status Conference attached for your perusal. I will be seeking a writ that commands the performance of an act required by law. In this instance the removal of the offensive material as above stated. We will also be seeking costs and damages. My instructions are not to serve the filed documents until February 2010 at the latest on the basis that Lucy said that you were seeking legal advice and that you would get back to me about it. So thanks for that and I guess I will either hear from you or not by the time the matter is due for service late February. We would be pleased if you would just have Parliament remove the material and that the matter including costs could be resolved. Note: Subsequently no further communication was sent by the NSW Parliamentary Speaker Mr Richard Torbay in relation to his alleged legal advice and the litigation was discontinued by myself on the 4th of March 2010 because I was unable to get legal assistance.